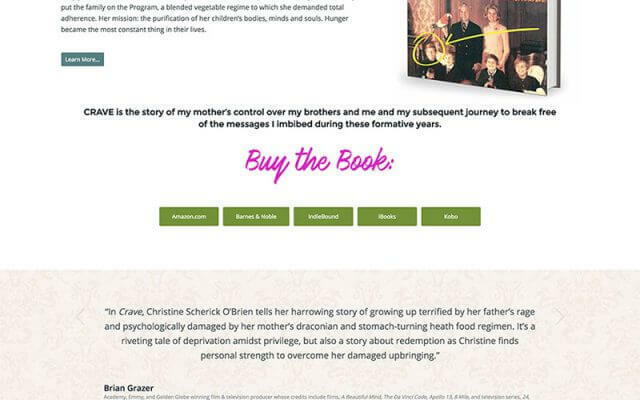 Author Christine O’Brien’s memoir, Crave, is the story of her childhood battle with hunger and longing that took place in the 70’s. 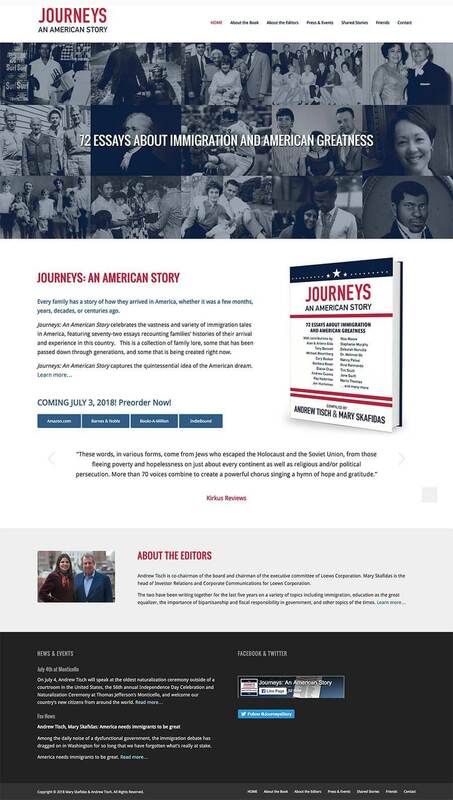 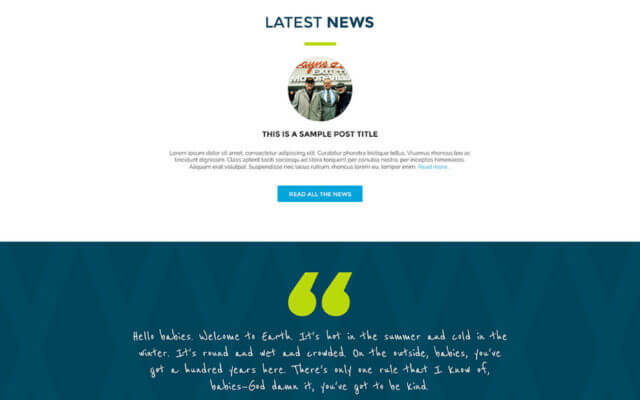 She wanted a website that would not only feature this powerful story, but also elicit the era without sacrificing clean design. 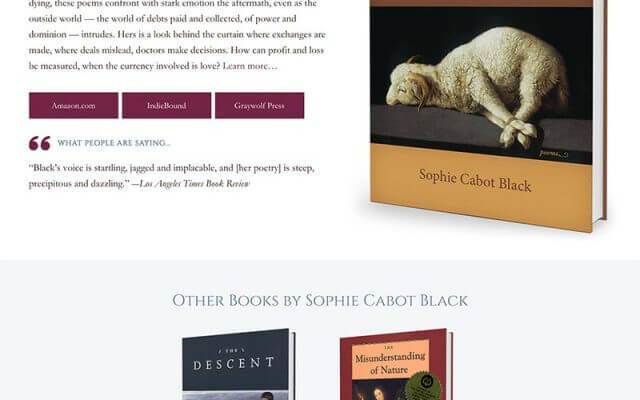 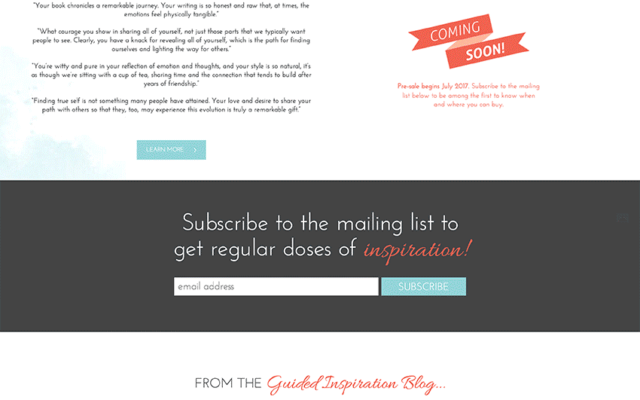 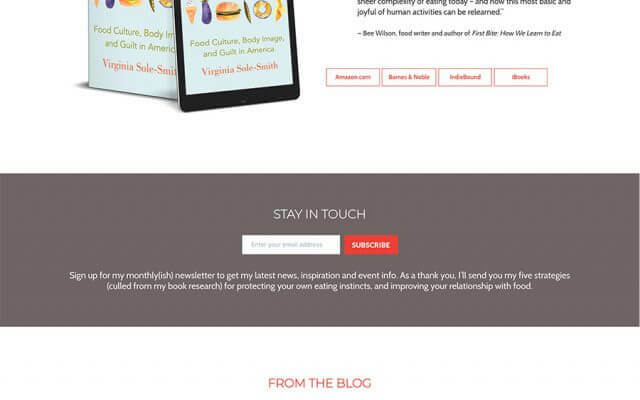 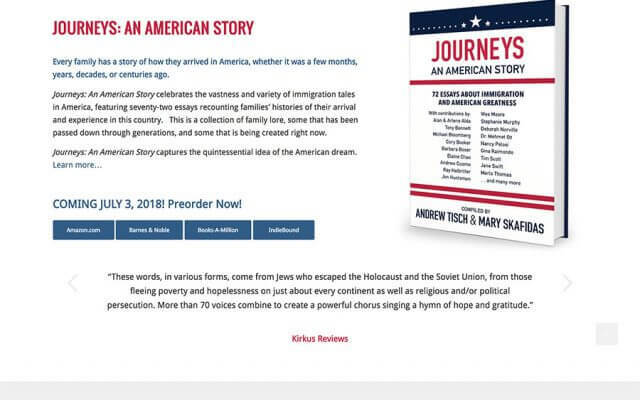 By pulling themes used in the book cover design, her author website uses strong colors, a handwritten feature font, and subtle, strategic texture to carry the book cover aesthetic throughout the site. 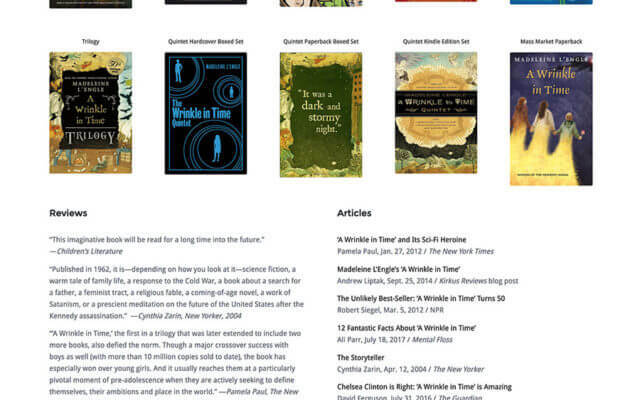 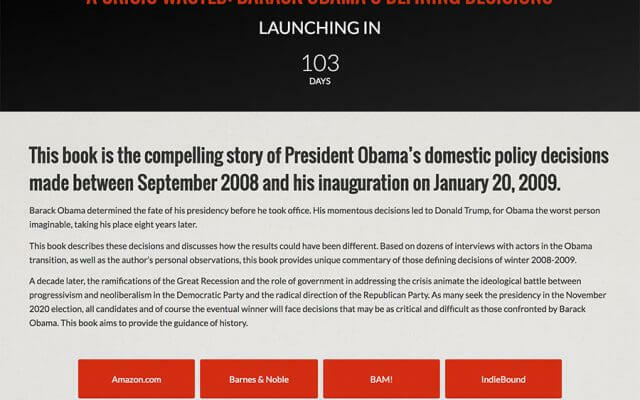 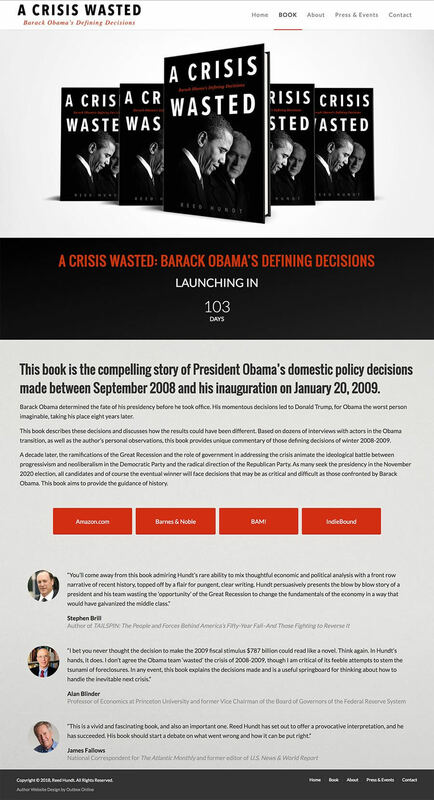 Despite featuring a single book at the moment, the site has been created to be sustainable so that new books may be added in the future without having to start again.